See guest artist Davide Salvadore in a live, narrated demonstration in the Amphitheater Hot Shop on September 1 from 6–7:30 pm. Davide Salvadore comes from a family of Venetian glassworkers. 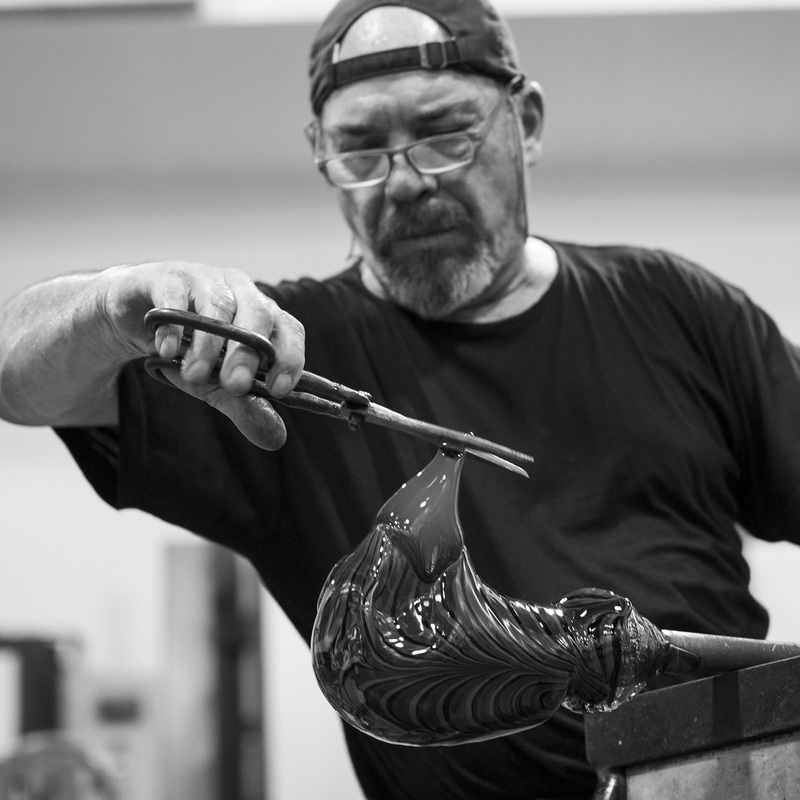 He is a maestro who both works in, and teaches the art of, glassmaking all around the world. Salvadore combines traditional Italian techniques and elements in innovative ways in his personal body of work. His pieces reflect diverse influences, such as African tribal imagery, Muranese roads, and the smokestacks of glasshouses.